Dark Red and Golden Cream Pure Silk Saree comes with zari work unstitched blouse piece. 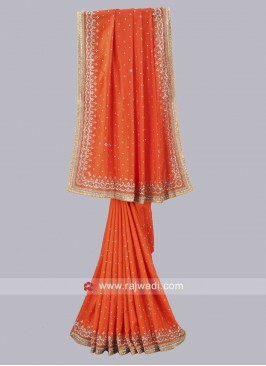 This Saree is beautified with zari embroidery for the best look. Brown and Orange Two Tone..